Chios: part six of a fast-paced serialised novel set in the turbulent Europe of the fifteenth century. A young Englishman, Tom Swan, finds himself in the midst of the Turkish siege of one of the richest islands in the Genoese Empire. Swan's biggest problem is that he hates the Genoese a good deal more than he hates the Turks. Despite which, he has to catch the spy, steal the ring, kill the traitor and, if possible, rescue the princess. Or maybe just bed her. All in the line of duty, of course. So he can get home to the Cardinal, his boss, and his wife, the most beautiful woman in Italy. Suddenly he's a knight, a man of action, a leader of men. And none of those are roles he asked for. 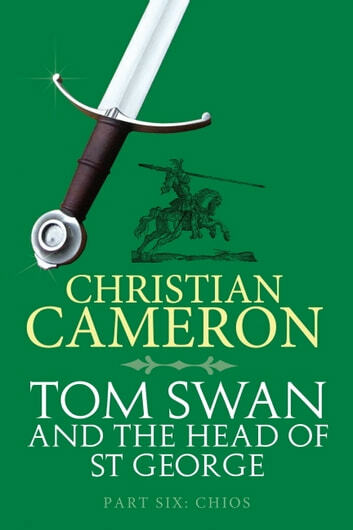 From the Knights of Rhodes to the court of Mehmet II and Pope Pius II, Swan has to use his sword - and his wits - just to stay alive. And married.